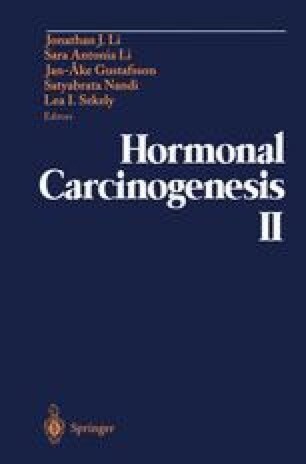 Although estrogens have been implicated in tumor development for over fifty years, we are still struggling to understand their mechanisms of action in this regard. Investigations in diverse areas including receptor activity, mutagenesis, steroid metabolism, cell cycle control and genetics have been carried out, leading to hypotheses including estrogen-induced mitogenesis, epigenetic control of differentiation, and direct chemical interaction at genomic and/or protein loci with resultant genomic instability. However, no unifying hypothesis has been sustained. Thus, in spite of model systems and an exponentially increasing core of basic knowledge, we still await the “leap” whereby mechanistic insights will solve the fundamental questions of estrogen-induced carcinogenesis. In the following, I will present a brief review of where we stand today.